Now I know that I have posted on this subject before but with the day I had I just had to write about it again. Inquiry: WOW! Man I love it. The kids went nuts. It took them a while to get over the fact that they were helping Mrs.Standring. Well they just started with the questions: what tools can we use? How are we starting? Which door is closer? 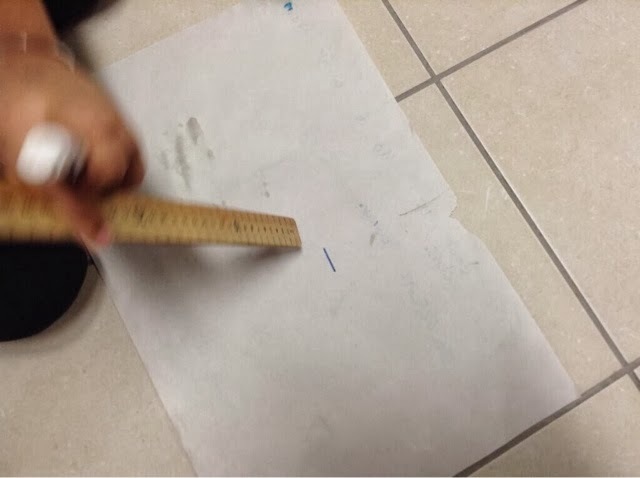 Most of them saw that a meter stick would be the best measurement tool, we had been talking about measurements for some time and been measuring in non-standard too and knew that it was inconsistent. So they all grabbed meter sticks and off they went. We got a bunch of numbers and came to the carpet to discuss. They were all in confusion, why do we have different numbers. We used a standard measurement? We then asked the students to demonstrate how they measured. 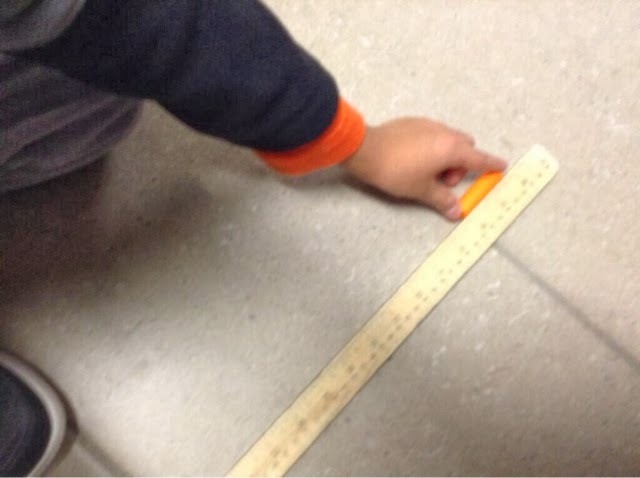 Some saw that when you lift the ruler up, you sometimes, overlap the space or leave a gap. I then asked them how can we prevent that? This brought up the discussion of leaving marks, or placing fingers. They went back at it. Students then came up with an answer but when I asked them to tell our principal they didn’t know what to say. This of course then led us into a discussion about explanation texts, which we then made some success criteria and off they went to write. When the bell rang half way through the students were very upset that they didn’t have enough time to finish there work. 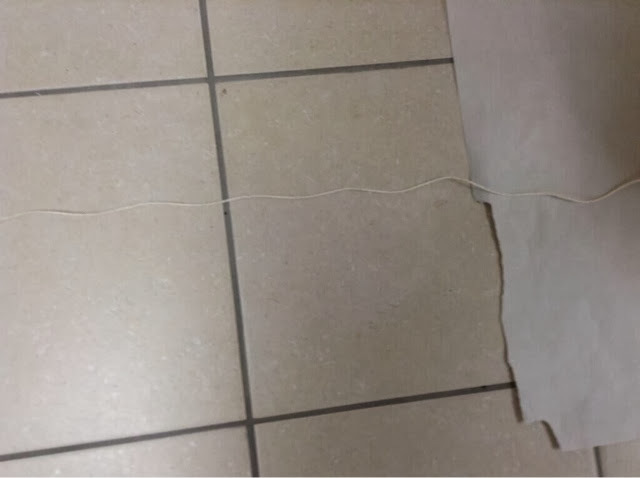 Not only did this problem happen in my classroom but my teaching partner did it too. 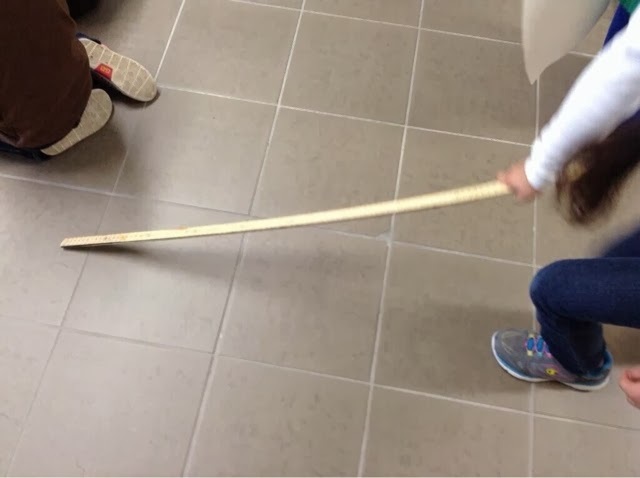 Her kids thought string was the best and then bring it back to measure against a meter stick. Now you may read this and say so what? So what! The best part of this is that all this discussion was student driven. All collaboration, student driven, all learning student driven. Yes as a teacher I am incharge. I have planned this problem, I have thought of the big ideas and questions but it is the passion, and learning of my students that drive this problem. Also, when looking back (though I will say to make it worth while this should be done first) my students met over 37 expectations from the curriculum and all of the learning skills that are in the report card. In addition, the talk was amazing and the learning even more. Not only this but when it comes to assessment I have it all, with no tests. I know my students skills, next steps and a mark of work. Inquiry for me is the only way to teach. Yes, students do need facts and knowledge but that fact and knowledge is gained through the inquiry process. Also, if a student doesn’t have that to start with as a teacher it is my job to scaffold the question so that they do learn; however, it should still be done in a way that the student is discovering the learning. 4) Parents: you will get parents complaining and questioning your practice. This is new for many and with new comes questions and fears. Stand up and proudly defend your practice because when they hear and see their kids they will love you. What do I need to do to teach through inquiry? 1) know your content and curriculum: when you know your students learning it is easier to formulate questions and scaffold students learning. 2) plan: I wrote a previous blog post about planning but essentially you need to plan. Inquiry does not happen by the seat of your pants. You need to anticipate students questions, problems, and ideas. You need to know what the big ideas are and where you want the lesson to go. You need to understand learning trajectories and see where your class is and should go next and you need to do the problem first. 3) inquiry should be contextual and related to the kids life. The best inquiries are ones in which the students really wonder or can invest in. 4) have fun and don’t be afraid to make a mistake. Overall, I feel inquiry has been one of the best things I could have done. It really benefits the students and it makes my assessment easier. I would love to hear your thoughts on inquiry? Have you tried it? Struggles? Pointers? Thanks for reading. I started this blog to talk about the things I did in my classroom but it has turned into more of ramblings on education; however, this blog post I want to focus on some things that I have been doing in the classroom with my grade twos. As I have stated before, I predominately teach through inquiry and problem based learning especially in math. Rarely, if at all, will you find me lecturing, I just don’t think kids want to hear me ramble or that they are really listening. Instead I try to facilitate discussion through activities, problems, projects and carefully planned questions. However, there are still some subject areas that I have trouble with, geometry is one of them. The reason I struggle with this is it’s sometimes really hard to come up with a context or a problem that allows students to explore the concepts that you are teaching. Not only this, but there is a lot of vocabulary, or social constructs as I like to coin it, that students just need to learn (e.g. The name of a four sided shape is a quadrilateral). Moving to primary has allowed me to shift my thinking nd find more ways to explore these concepts. I have had to revisit many of my favourite resources, like VanDeWalle, Marilyn Burns and Fosnot. VanDeWalle has an amazing learning progression for geometry in his book. For this activity, I had a bunch of 3D figures or shapes for students to see. I placed one object in the yes and then another in the no. I would then have the students discuss what they think is happening. I would then place another object in the yes and no category. Once this was done we would discuss and then I sent them off to try and figure out my rule or concept I was trying to get them to see. This was great for teaching terms like parallel, shape names (quadrilateral, triangle, prism, pyramid), etcetera. This problem is in numerous resources but I found it in Mariyln Burns book. For this problem, I gave my students four equilateral triangles and told them they had to make as many different shapes as possible. They then had to organize there shapes. This was really good for teaching shape names and other various properties. This activity is one that I traditionally do as it lends itself to exploring the various shapes and figures. For this activity I have the shapes or figures out and the students just try to find as many properties as they can. Normally, I would tell my students what properties they would be looking for or at least brain storm ideas from them. However, this year I just let them search. This often would generate lots of questions, which I would then stop the class and have mini congresses ( debriefing). This would then lead to more questions, exploration and so on. This change has really opened up my students understanding and has helped me see what the students actually understand versus what they have absorbed. This particular activity is used for 3D figures but possibly could be modified for 2D shapes. For this activity I gave my students various shapes and asked them to find what figure they made. This actually generated some really cool discussions around prisms an d pyramids. For me inquiry is the best way of teaching but it does have some problems here or there. I hope that these are useful ideas. If you have any great lessons you love, please share; would love to hear them. I have been inspired by Aviva Dunsinger, a teacher in Hamilton, to talk about my daily schedule. She posted hers not too long ago, take a look at: http://adunsiger.com/2014/01/04/a-glimpse-at-our-day/, great read. Our school day is divided Into eight periods, but first period is short so really seven. I lose one period a day for prep. This roughly leaves me with six periods to work in various activities. But I try not to see it as periods in the day more like blocks of time. I always try to have a double period of math and a double period for language but this may not necessarily happen in a set time, it’s where ever I feel it fits the flow of learning. Sometimes we need to do some language because it is building a context for our math or vice versa our math builds the context for our language. It’s also Inportant to note that even though our time may not be back to back, it still continues. I don’t try to wrap things up because I have to go to gym. We just leave things were they are at and continue when we get back. At first this left some redirecting and focusing but now my students don’t even stop they just get right back to work. Math: is always some sort of contextual problem or an inquiry approach to exploring concepts (some strands are harder to find contexts for all big ideas). For example, we are exploring geometry and 3D figures, so the problem might be there are a bunch of figures on the desk what do you notice. Or look at these categories, one is a yes and one is a no, place the other figures into the categories. These examples are more inquiry base but help build understanding. Other times we may be exploring distances kids travel to school around the world. This context would be read about in class, journaled about in writing and then explored in math. Language: is predominately done in center form. I would have five centers that students rotate around for the week. One center is vocabulary, one is writing, a guided reading group, a read and reflect and another that would be dependant on social studies, science or our writing focus. Students have choice in the various centers and the reading is often about a social justice theme, science or social studies. Sometimes, I may use this time to work on just writing or just reading. As I mentioned above I try to have two periods for each but this often blurs to three or four depending on student engagement, need and work accomplishment. For my other subjects (social studies, science, drama, art, media, oral) they are all integrated into math and language. However, I will often put science, social studies on my schedule board so the students know what to expect. For both of these subjects it is all inquiry. For science, we do a lot of experiments and posing questions that students have to research. For social studies, it is one big concept and the students read, write, present and pose new questions of their findings. Often students will push other inquiry from the discussions and ideas they were researching about. The arts are also taught this way, with making music videos, podcasts, art work to use in math or media posters. I also do genius hour once a week for my kids. Genius hour has been the best thing for inquiry and promoting student engagement. Genius hour is all about allowing students pursue their own interest a as long as it promotes learning and helps the class. The students are so engage. But this is not just let the students do what they want time. It is tied I to researching, writing, reading, and learning skills. They are also making media posters, oral presenting and so much more. My students live it. Follow the genius hour hashtag for more info. Hopefully, you see my deliema in articulating what my schedule looks like. Too me, learning is learning and subject content should be integrated, just because you’re in math doesn’t mean we aren’t doing language. I think this helps students see the bigger picture and use various skills all through the day. I know that I may have been a little confiluding but my hope was to show what my day may look like. In the end, all I know is that learning in my classroom is always happening and it is always connected together. I Would love to hear how other people schedule their day.